It’s November! Time for chilly mornings, warm, comforting soups and Thanksgiving! 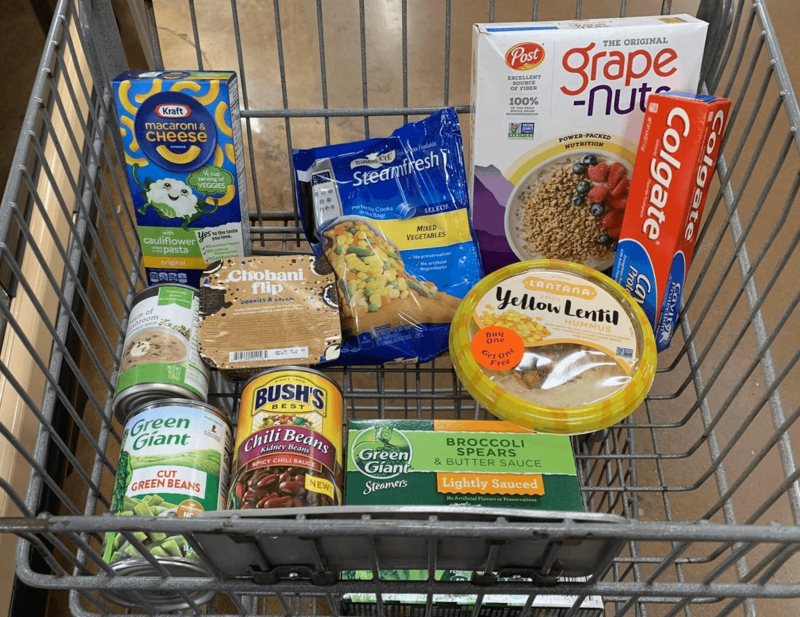 It’s also time to grab some great deals at Kroger this week! During Kroger’s Mega Savings Event you will save $5 instantly when you buy ten participating items! I was able to grab these awesome deals, and the final cost for everything I purchased during this trip was $4.97 after coupons, instant savings, and cash rebates! There are TWO great FREEBIEs this week! I grabbed some Chobani Flip Yogurt and two tubs of Lantana Hummus for absolutely FREE! Plus, be sure to grab a bag of Tide Simply Pods for just $1.49 after coupon! And if you need a couple of great budget-friendly Fall soup recipes to get you through these chilly evenings, try this Creamy Red Lentil Soup or this Pumpkin Soup! Delicious! Below is a breakdown of what I purchased so that you can snag all these great deals on your shopping trip this week! It will make it easy for you to pick the items you want and shows each deal’s final price! Be sure to share all the great deals you find this week in the comments, and Happy Saving! Crunchmaster Crackers just $1.50 at Giant/Martin!